KUALA LUMPUR: Malaysia has hailed Spain’s stand for not supporting any discriminatory measures against palm oil by the European Union (EU) as it will adversely affect the country’s biodiesel industry. 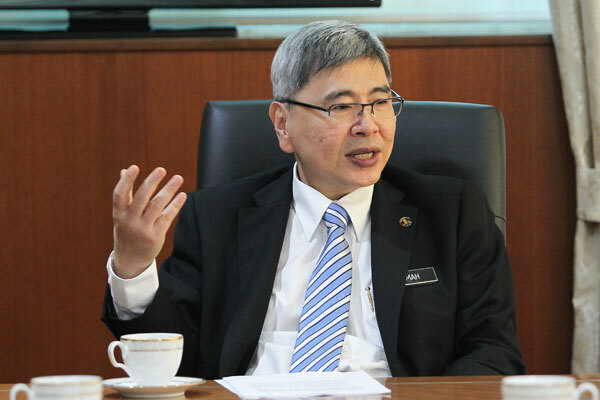 Plantation Industries and Commodities Minister Datuk Seri Mah Siew Keong said the Spanish government adopted the stand as the adoption of the Renewable Energy Directive (RED) resolution by 2021 was also not in line with the World Trade Organisation (WTO) free-trade laws. “I welcome the commitment of the Spanish government delegation and if this ban were to become an EU legislation, any alternative to replace palm oil will result in higher costs. “The cost increase will ultimately be borne by consumers and will also result in bigger losses for biodiesel industry players in Spain,” he said in a statement today. On January 17, the European Parliament voted to phase out palm biofuels from the EU energy mix after 2020. Spain is the latest EU country to speak against the resolution after France, Sweden, the UK (Conservative MPs — part of the governing party of UK Prime Minister Theresa May), Germany and the Netherlands. Mah, who is leading a Malaysian delegation to Europe for the Malaysia-EU Palm Oil Consultation, on Monday attended three bilateral meetings with representatives of the Spanish government in Madrid. During all the bilateral meetings, Mah voiced Malaysia’s concern and strong stand against the European Parliament resolution to ban the use of palm oil from the RED legislation. The Malaysian government opposes the biased resolution which discriminates palm oil against other vegetable oils, he said, adding that it would affect the livelihood of 650,000 palm oil smallholders in Malaysia. Among the 28 EUcountries, Spain uses the largest palm-based biofuel feedstock at the percentage of 70 per cent and it is the second largest palm oil importer after the Netherlands with an annual value of nearly RM1 billion. In addition, representatives from the Spanish government also assured that their government’s stand of not supporting and accepting any proposals contrary to the legislation set by the WTO. In a separate meeting on Sunday, Mah also met Spanish palm oil importers in Madrid. During the meeting, Spanish palm importers expressed hope that the Malaysian government would continue to stand up against the resolution of the European Parliament and they would be willing to cooperate with Malaysia to address the negative perception of palm oil among consumers. Mah said Malaysia appreciated the support of various parties, including industry players and would continue to be committed to ensuring that the palm oil industry would receive fair treatment.